Cervelle de Canut? Brains of silk workers? Who could resist such an intriging title? Not this cheesey blogger! I was listening to BBC Radio Food Programme as host Sheila Dillon visited the Taste the World Stage at WOMAD. Musicians cooking food redolent of home – a Chinese flute player stewing fish, Quebecois cooking up crepes, Chileans scoffing wine, and of course some crazy Frenchies cooking a cheese speciality from Lyon. I was relieved to find out the brains in the title of this dish are metaphorical. 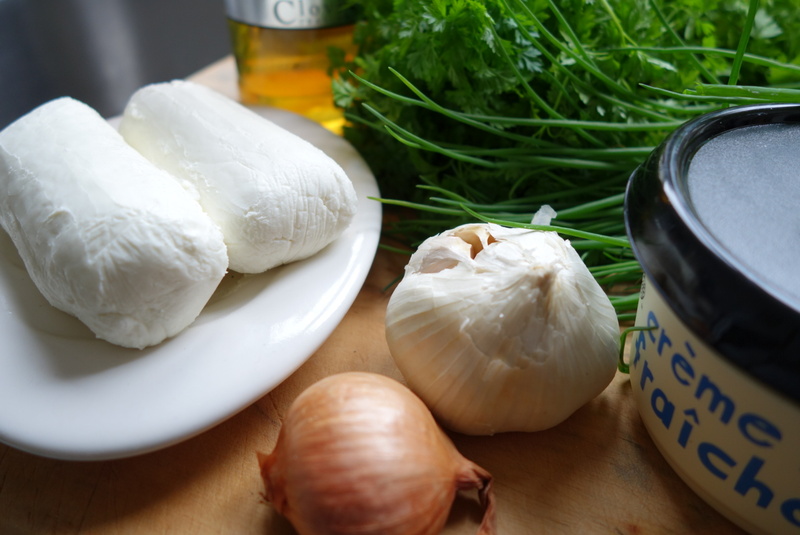 Instead take fromage blanc and creme fraiche blend with garlic, chives, shallot and loads of chopped fresh herbs. Voila! A quirky name for a fresh, zingy dip. 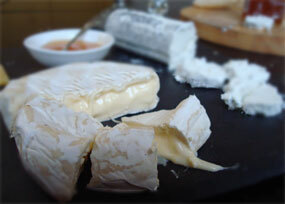 Fromage blanc is a fresh cheese with a lemony zing. 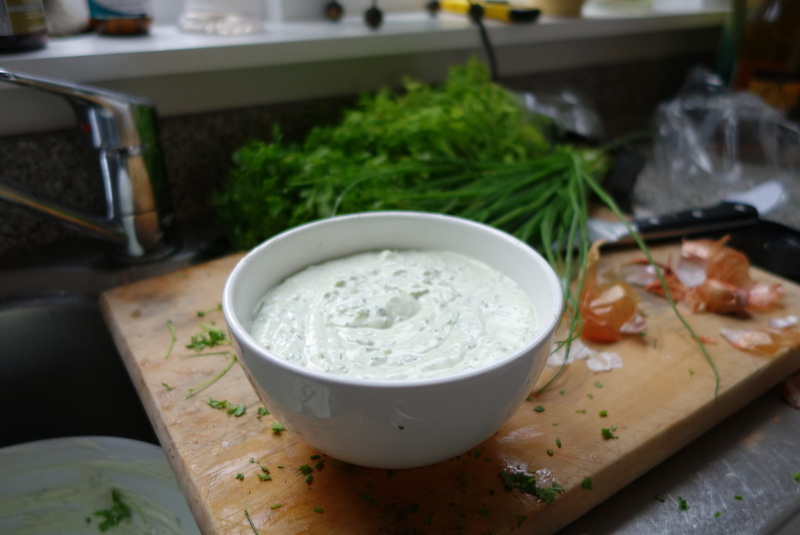 If you can’t get it, try greek yoghurt strained to thicken it up even more – check my recipe for Labneh to see how. Or use cottage cheese with an extra squeeze of lemon. I tried this out on folks coming for dinner on Saturday. I whipped it up in the afternoon, let it chill in the fridge. 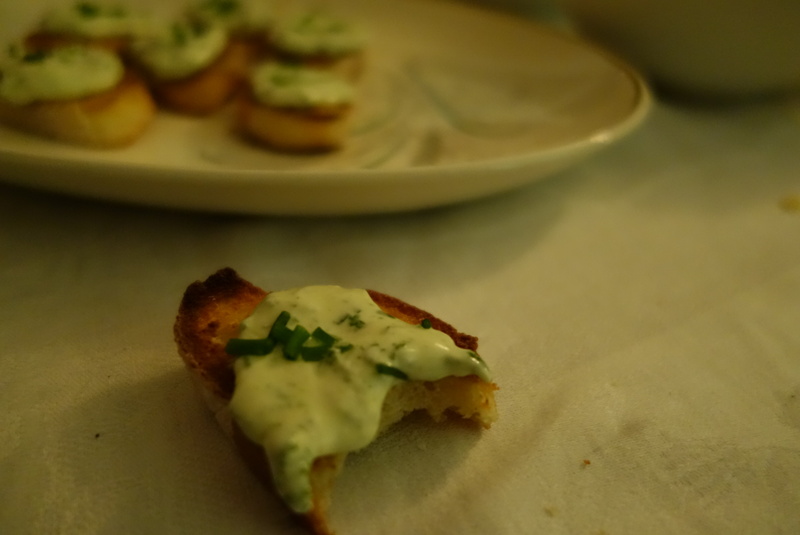 Later I toasted up some bread, slathered on my cheesey brains, drizzled over walnut oil, and topped with chives. excellent. It would’ve also been great with crudites especially radishes. It was a tasty dip, perfect for pre-dinner snacking – those silk workers certainly knew a thing or two about making something delicious to nibble with wine! I liked Pinot Gris. PS If you’re a foodist and you don’t already listen to the Food Programme, my you are in for a treat. Oh and if you don’t have walnut oil, treat yourself to a tin, it lasts for ages and is di-vine on tomatoes in summer. And use flat leaf parsley if you can’t find chervil. 1/4 cup red or white wine vinegar – I used less as I was nervous it would overpower. You can always add more. 1 tablespoon fresh tarragon – I used Fresh as freeze-dried tarragon, not sure I’d bother with normal dried. Mix fromage blanc, creme fraiche, vinegar and oil together in a food processor, beater or smash with a fork and whisk til smooth. Add the chives, tarragon, chervil or parsley, plus seasoning. Don’t worry if it tastes pretty vinegar-y, it’ll soften with time. Cover and put in the fridge for at least 2-3 hours. 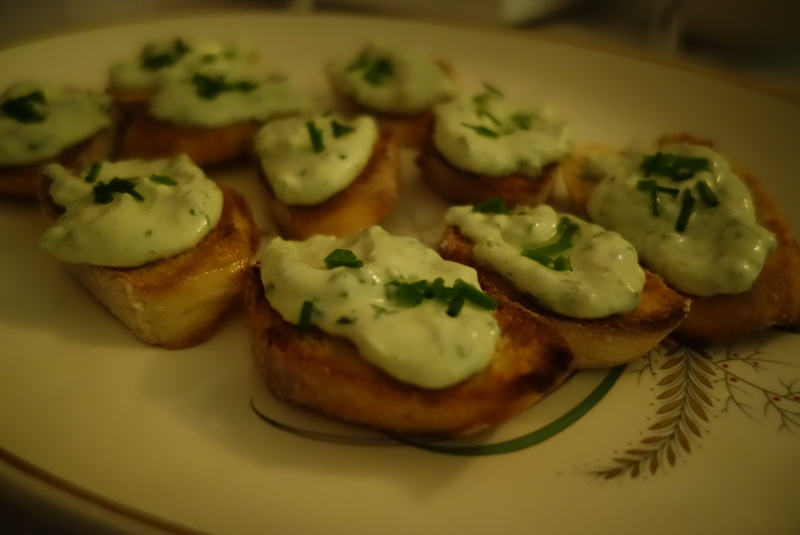 Serve garnished with a drizzle of oil and a sprinkle of chives.